Mafrash – Manufactured in eastern Turkey, northwestern Persia and the Caucasus. 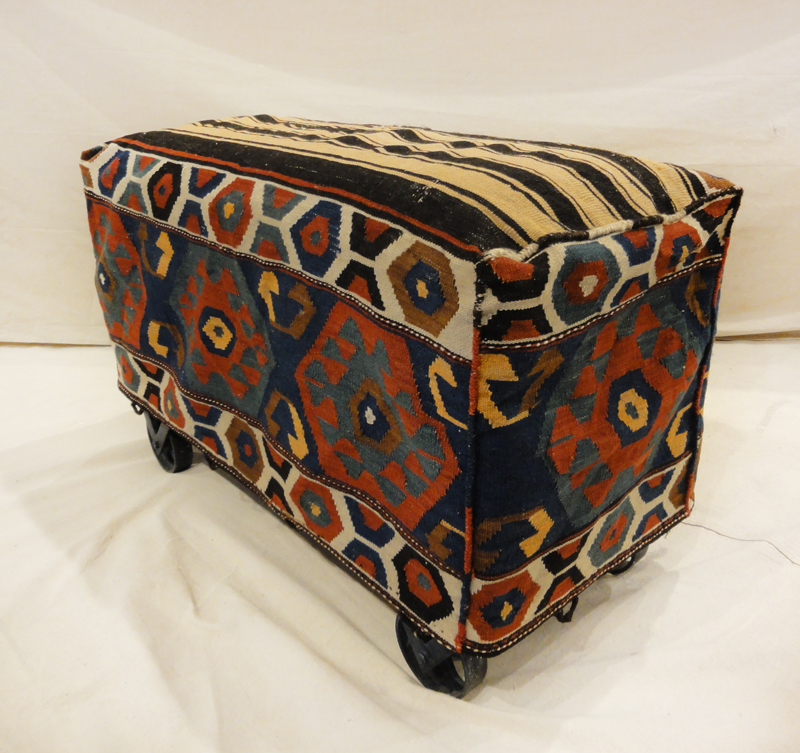 Featuring three-dimensional rectangular “boxy” bags hand made by nomads. 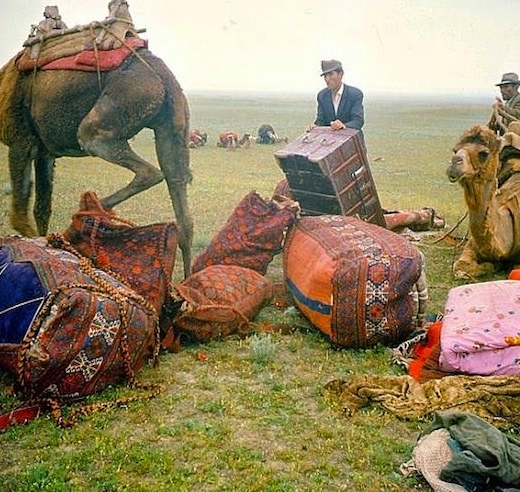 In addition, they became used for storage and bedding in their tents, for use as cargo. Furthermore, balanced over the backs of camels on migration they were mainly created in pairs. In the marketplace, these are often dubbed beşik, or cradles. 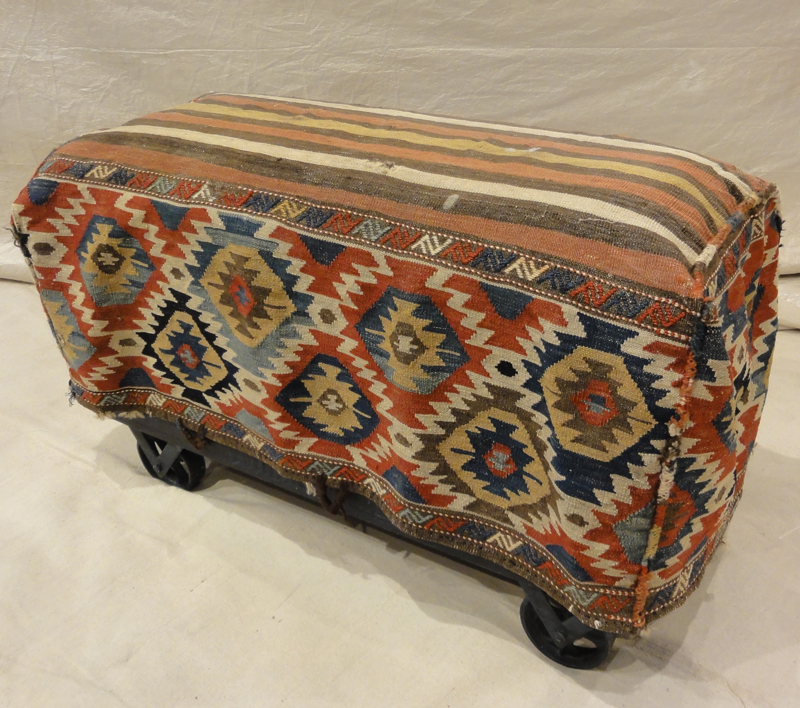 In addition, made in the largest numbers, Bedding bags have been created by Shahsevan tribal people. As well as, other groups in NW Iran and across the border in Azerbaijan. Others were made in Georgia and Armenia. Furthermore, woven soumak are the majority. Others are slit-tapestry, sometimes with narrow contrasting soumak bands. 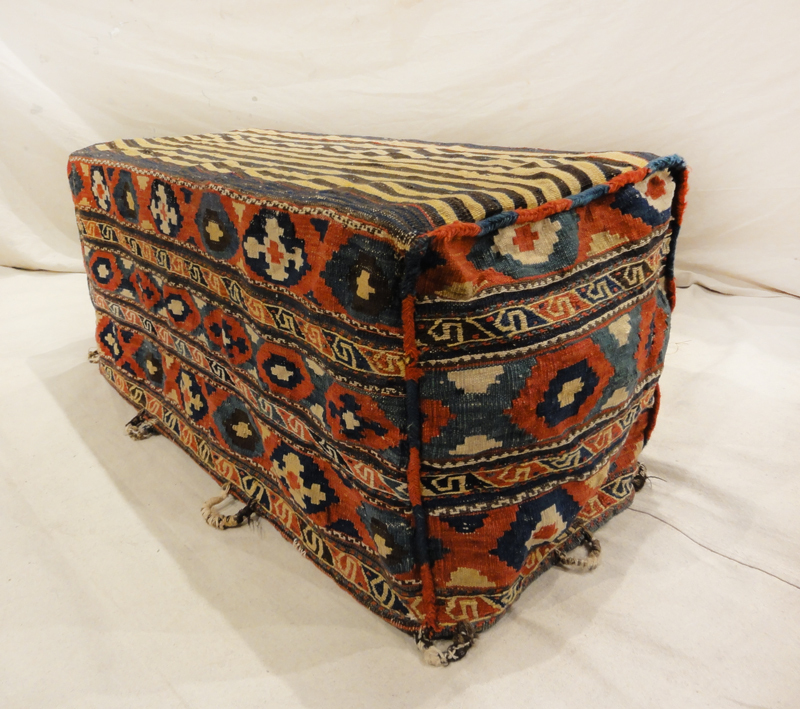 As a result, Western collectors have found that these bags make striking small tables or ottomans when up-ended over wooden boxes or blocks of heavy foam rubber.